General Erwin Rommel (1891-1944) was one of the best-known generals of WWII. He became a legend because of his daring in France in 1940 and then later in North Africa. He was a much-admired figure during the war by both the Allies and the Axis powers. After his defeat at El Alamein, he was forced on the retreat. He was later forced to leave North Africa and later was appointed to lead the resistance to any Allied invasion of France. During the Battle of France, he was severely injured and later died in mysterious circumstances. Rommel was a war hero from the First World War. He received Imperial Germany’s highest military decoration for his conspicuous bravery during battles on the Italian Front. He was one of the few officers to be retained in the army after WW I. The Versailles Treaty had limited the size of the German army and the officer corps was also limited. However, his brilliance was recognized and Rommel was allowed to keep his commission. During the inter-war years, Rommel was involved in operations to control public disorders. While stationed in Dresden he wrote a military manual entitled ‘Infantry Tactics’. This book was a best seller and was even read by Hitler. During the invasion of Poland, he was in command of Hitler’s personal guard. He later organized the German Victory Parade through Warsaw. Rommel played a pivotal role in the Fall of France. He was in command of the 7th Panzer Division and led it during the fighting in France. He was able to cross the Meuse River, which the French had expected to halt the German advance. Rommel personally waded into the river during its crossing to lead by example. In February 1941, he was appointed as commander of the Afrika Korps, at first he was only expected to support the Italian army but his role was greatly expanded as the Italian army faced collapse after several defeats by the British. During the Second Battle of El Alamein Rommel was not on the battlefield but in Germany receiving urgent medical treatment. He later returned to the battle and helped to ensure that the Afrika Korps was not utterly destroyed by the British. Rommel skillfully extricated his units from the aftermath of El Alamein. Rommel was one of Hitler’s favorite Generals. He had him appointed as one of the commanders of the efforts to prevent an Allied invasion of Europe. Rommel was in charge of creating a defensive wall that would protect France from an allied invasion. 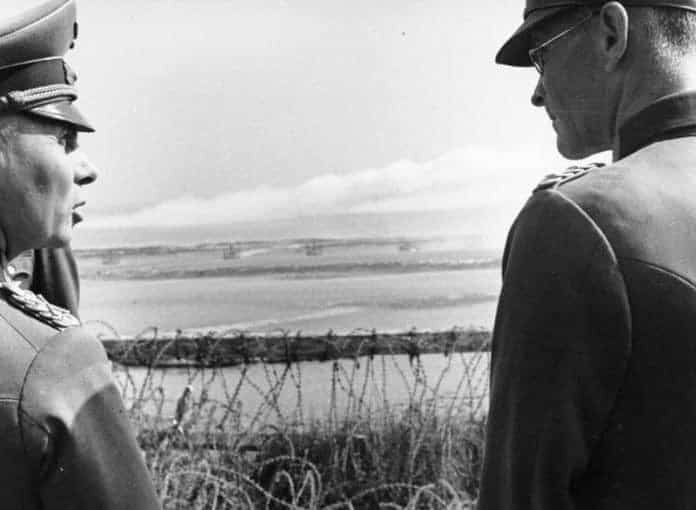 Rommel had thousands of miles of mines, obstacles and fortifications built to defend Nazi-occupied Europe from an Anglo-American amphibious attack. Rommel became involved in the plot against Hitler in 1944. he knew that the war was lost and that Germany needed to change its leadership. However, the plot was discovered and Rommel was implicated in the conspiracy. It has been established that Rommel was probably ordered to commit suicide by Hitler for his part in the conspiracy against him. Rommel was already badly injured after his car had come under attack by a British plane. Hitler forced Rommel to commit suicide or face a trial for treason. in order to save his family he agreed to commit suicide.